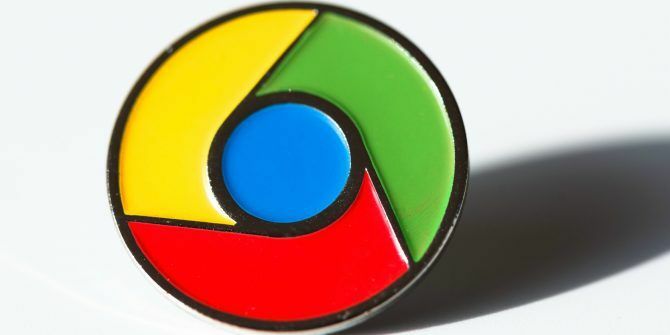 Google is making changes to its Chrome browser It's Time To Break Up With Google Chrome It's Time To Break Up With Google Chrome As a big fan of Google Chrome for a long time, I finally decided it was time for us to break up. It came down to overall performance, customization, and extensions. Read More which should stop sites from redirecting you against your will. These plans to curtail dodgy (or innocent but ignorant) websites is the latest in a long line of measures designed to make browsing the web a much more pleasant experience. Anyone who has ever spent some time on the web will have been redirected at some point. You can be happily reading a website, only to be whisked away elsewhere, often without having clicked on anything. This is annoying, and can lead users down risky avenues of the internet. First, starting in Chrome 64, “all redirects originating from third-party iframes will show an infobar instead of redirecting, unless the user had been interacting with that frame.” This means the user will remain on the page they were reading, and instead be notified of the attempt. Secondly, with Chrome 65, Google will detect instances when “clicking a link opens the desired destination in a new tab, while the main window navigates to a different, unwanted page.” The main window will no longer be redirected, and again the user will be shown an infobar. Finally, Google wants to tackle other types of redirect. This includes links disguised as Play buttons and transparent overlays that react to clicks. These aren’t always easy to detect, but Google is giving Chrome’s pop-up blocker the power to stop this happening Let's Put A Stop To Pop-Up Browser Ads Once And For All! Let's Put A Stop To Pop-Up Browser Ads Once And For All! Pop-ups can catch you off guard, and if you're not careful they can create problems. Learn how to avoid them and how to handle them if they do come up. Read More . It hopes. While end users (almost everyone reading this) won’t have to do anything other than update Chrome as usual, website owners can prepare for the changes by running the Abusive Experiences Report. This will tell admins whether any “abusive experiences” have been found on their website. Like so many of the changes Google makes to Chrome, most users won’t notice anything different. They just won’t get redirected so often, and so won’t have to frantically click the Back button or close the new window or tab they never wanted to open in the first place. However, those of us in the know will appreciate the effort Google put in here. Because redirects are bad How to Easily Remove A Browser Redirect Virus How to Easily Remove A Browser Redirect Virus You ran a search in Google, but somehow, for some reason, you didn't get the result you wanted after clicking a link. You're got a redirect virus; here's how to get rid of it. Read More , m’kay. Do you use Google Chrome? If so, are you pleased to see Google tackling the problem of redirects? Or would you prefer the company to fix other things first? If you don’t use Chrome, what browser do you use instead? And why? Please let us know in the comments below! Explore more about: Google, Google Chrome, Online Advertising.